On the streets of St Petersburg, the sound of twin-turbocharged Chevrolet and Honda engines will be brought to life in competition for the first time this year. 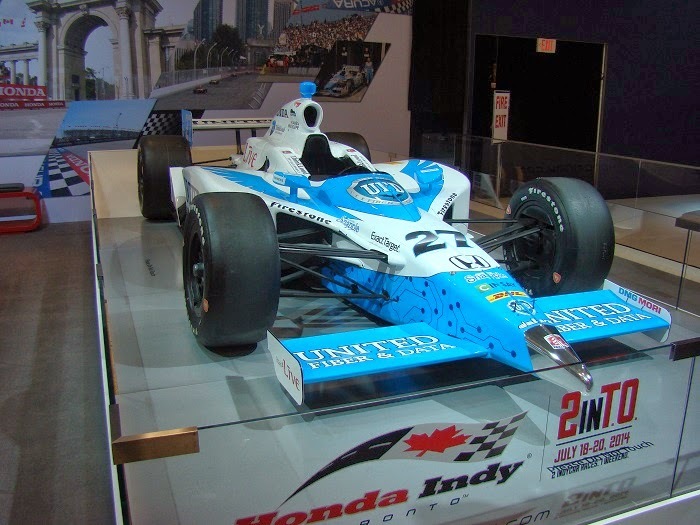 New drivers, old open wheel stars like Juan Pablo Montoya retuning to the faster form of motorsports, Chip Ganassi cars with Chevrolet engines, Andretti Autosport cars powered by Honda, a new IndyCar title sponsor; 2014 promises to bring IndyCar fans a memorable. Consisting of 18 point-paying events, the 2014 Verizon IndyCar Series is something few race fans will choose to miss. Ahead of the start of the 2014 Verizon IndyCar Series today (Sunday, March 30th) , I have taken some time to provide the following full television schedule for United States and Canadian viewers of the open wheel championship. A big win for fans even before the start of the 2014 season, all Verizon IndyCar Series races will be televised live on the Canadian and American carriers. The season opener will be shown on ABC in the United States and City television network in Canada. Both channels are non-cable networks that should provide an easy opportunity for most fans to watch the Firestone Grand Prix of St Petersburg. A total of five IndyCar races will be shown on City in 2014 including the inaugural Indianapolis road race in the series as well as the prestigious Indianapolis 500. Five races, including the double race weekend in Toronto will be shown on Sportsnet in Canada with the remaining eight races being broadcasted on the Sportsnet One premium digital channel. Canadians will also be presented with several opportunities to watch encore broadcasts of the 2014 Verizon IndyCar Series. Races will also be shown on the RogersAnyplaceTV.com site for online viewers in Canada. I would have been much happier to have the schedule posted earlier (as would Canadian IndyCar fans). I sent several emails over the past two weeks to Rogers media regarding the Canadian television schedule for the 2014 Verizon IndyCar Series but never received a reply. While the American television schedule was confirmed December, the Canadian broadcast scheme wasn’t released until Friday.